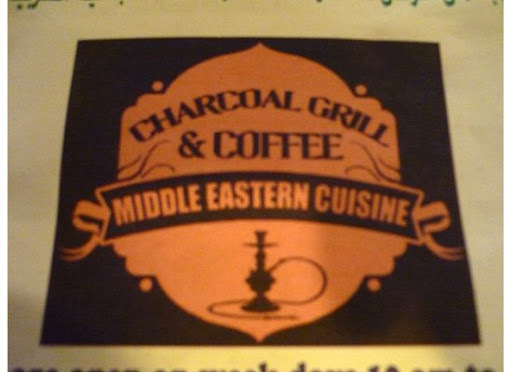 The Charcoal Grill and Coffee is a new Middle Eastern restaurant nestled in the unexpectedly diverse Lawncrest neighborhood (Nearer Northeast Philadelphia) on Rising Sun Avenue. Across the street from the cafe is a Filipino restaurant and on the next block headed north is a great West Indian restaurant called the Flavor Spot. Previous to the Charcoal Grill taking up shop on 6321 Rising Sun Ave, a Bubble Tea house resided and failed. Before that, another establishment. This location has changed guards no less than three times in the three plus years that I have lived in this neighborhood. In order to be successful, Charcoal Grill must overcome the geographic hardship that has plagued those in the past. The restaurant has been open for three months according to one of the Yemeni workers. However, every time I pass by, it is completely empty. For some reason, I felt a sudden urge to help out the local business (although I am admittedly un-inclined to try cuisines outside of my routine of pancakes, tuna fish, and iced tea.). In college, I was the president of the Arabic Club and even participated in an international food night. So one would think this restaurant would be right up my alley. At the very least, I thought to myself, I would go in and show off what Arabic I remembered while browsing the menu. I recently entertained some friends from Europe and pondered where I could take them to show them “Philly” and get a taste of Philadelphia fare. Cheesesteaks immediately came to mind, but I wanted to introduce them to the diversity that Philadelphia has to offer. Not wanting to fight traffic or an overpriced menu, I stayed local and thought about Charcoal Grill. I searched online to find a website for the restaurant, but I came up with nothing. Finally, I was able to come up with one review. To my surprise, I found out the restaurant has Hookah in the basement. I was sold! The Charcoal Grill is spared a lot of frills. When you walk in, there are a few tables situated in front of the counter. For the most part, it looks like a take-out joint. I told the man behind the counter that we wanted to do the hookah and he led us downstairs. We sat at a table and waited for him to bring us out a “pipe”. While we waited, we were able to enjoy some authentic Middle Eastern music. Shortly after we arrived, the same man changed the CD to a mixed CD with Celine Dion and Sara Mclachlan-ish type music. I can only guess that my arrival with two Caucasian males prompted this man to play this type of music. After a few songs elapsed, I kindly asked him to put the original music back on. Midway through our smoking a group of men emerged from a side room. So… not only can you Hookah, but you can Hookah in private AND you can Hookah with a large group. This trek out to the Charcoal Grill was simply to case the joint out. We only ordered mint tea (which tasted like Lipton with an excessive amount of sugar). However, I promise to go back and get something from their very inexpensive menu like Kabab’s for $8.00. They also offer free delivery, late night dining, and Arabic lessons (or at least the man offered those lessons to me). Salaam alaiki ya Dani: Most Middle Eastern restaurants are most of the time empty and appear to be static. They tend to make their money catering private parties and events more than street sales. Keef halak:The guy did tell me that they had a lot of big parties coming in. I also went to another middle eastern restaurant, FEZ, last week. I intend on writing a review about that one since I thought it was phenomenal. Yes, most Middle Eastern places I've visited are just as you have described this restaurant. Oh, I'm so in the mood for some Borek and Falafel right now!